The Independent Municipal and Allied Trade Union (IMATU) began the first round of the 2015/2016 wage negotiations today, in Johannesburg. 1. An across the board salary increase of 15% or R4 000, whichever is the greater. 2. The current minimum wage to increase to R9 625. 3. A single year agreement only. 4. All benefits, allowances and conditions of service to also increase by 15%. 5. The housing allowance to be increased to R1 800 per month and be extended to all employees (irrespective of whether they own or rent a house). 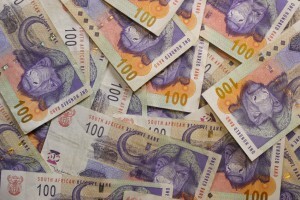 The South African Local Government Association (SALGA) has countered these demands with a proposal of a three year wage agreement, starting with a 4.4% across the board increase in year one, followed by a percentage increase equal to the average annual Consumer Price Index (CPI) plus 0.25% in years two and three respectively. “An opening offer of less than inflation is simply not acceptable. SALGA wishes to base future salary increases on the January 2015 CPI figure of 4.4% as opposed to taking the average CPI figures from January – December 2014 into consideration. 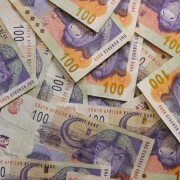 According to Statistics SA, the average CPI figure for last year stands at 6%. Transport costs, food costs, medical aid costs, electricity costs and other administered prices are all increasing at rates higher than headline inflation. In 2014, medical aid premiums increased by an average of 10.06%. NERSA recently approved a 12.69% increase in electricity prices for 2015, which is nearly double the current rate of inflation. South African food prices, which increased at an average rate of 7.8% last year, are also still increasing at a higher rate that the global norm. Fuel prices may have decreased recently, however the Minister of Finance’s recent announcement regarding fuel levy increases in his 2015/16 Budget Speech spell higher prices for all South Africans. The 50c/l increase in the Road Accident Fund fuel levy and 30.5c/l increase in the general fuel levy will bring the total fuel price increase to 80.5c/l,” outlined Adams. Workers battling high prices and high debt levels are also facing declines in their disposable incomes. Less disposable income means that consumers have less money to spend on goods and services which in turn hampers economic growth and job creation. “According to Andrew Levy’s Wage Settlement Survey, IMATU’s opening demand is very much in line with the average trade unions’ opening wage demands across all sectors in this financial year. Moreover, wage increases in Local Government have, since 2011, consistently fallen below the national average. Our members have in fact gone through a period of wage restraint while being expected to pay more tax and battle above inflationary increases in transport, food, medical aid and electricity costs,” Adams stated. The South African Reserve Bank (SARB) Governor, Lesetja Kganyago, urged wage negotiators to take into account ‘the challenges of the higher cost of living and the need to understand the economic realities of the day’. He also stated that SARB had no objection to workers achieving real wage increases, coupled with productivity gains. IMATU understands that productivity in local government must be addressed. To this end we have been working closely with the Department of Cooperative Governance (COGTA) as well as the Department of Public Service and Administration (DPSA) in the development of the Public Administration Act, as well as new Draft Municipal Regulations which aim to introduce new norms, standards and ethics in the delivery of services to the public and root out corruption. IMATU is committed to realising social transformation through a sustainable local government and will continue to roll out its Let’s get Local Government Working Campaign. While IMATU remains committed to constructive and meaningful dialogue with SALGA, we have a mandate to ensure that our members’ income is not eroded by the continually increasing cost of living. SALGA must consider the realistic percentage increases of year on year inflation, when it considers our proposed salary increases.